A little line on a side, a sag on the other side, dip between the eyes & wrinkles on the forehead; define aging at its best. If you are still engrossed in the beliefs of yesteryears, feel free to shut yourself behind the doors, wear makeup or visit a cosmetic surgeon. But if you belong to the advanced 21st century, get your hands on NMN with resveratrol, the revolutionary anti-aging genie. 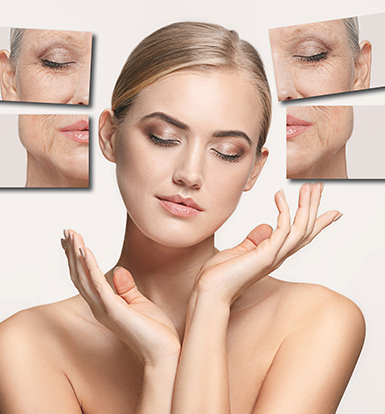 Natural aging is an ineluctable process as skin loses its buoyant charm with increasing years. 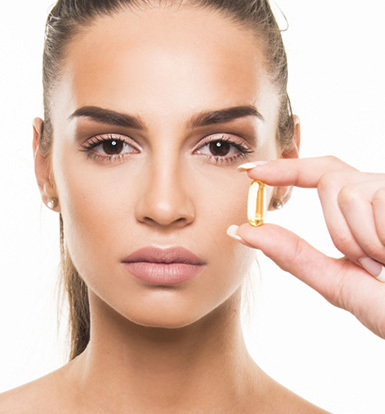 “The bitter truth is, no one can stop it; the sweet truth is, Nicotinamide Mononucleotide & Resveratrol can fix it.” Unique in their own way, when these anti aging fighters come together, golden phase for skin begins. Foes like dark spots on face, fine lines, wrinkles & crow’s feet are fixed to restore a flawless face with supple & glowing skin. 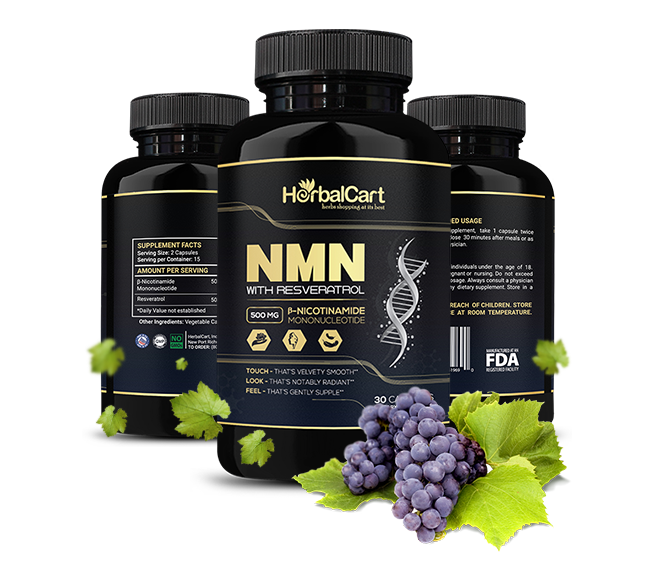 NMN is a ground-breaking product that turns back the age clock for both, men and women. Hitting all the right notes, it is an unquestionable version of ambrosia towards agelessness. 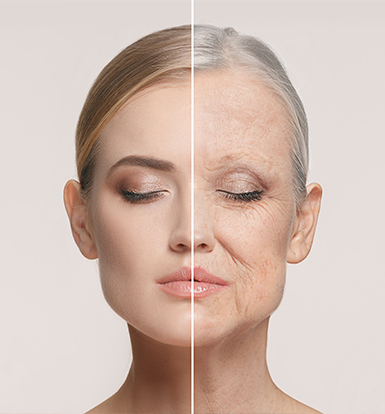 Being one of the best anti aging products, NMN boosts collagen production, replenishes elasticity, triggers fine lines & spots and removes gunk to keep the skin stay young. 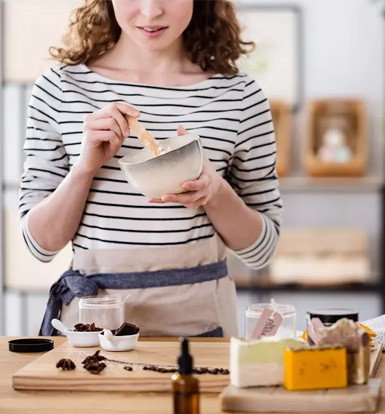 An antioxidant belonging to the polyphenols group, Resveratrol has 17 times more antioxidant activity as compared to idebenone, a potent antioxidant used in anti-aging products. Also, it alleviates oxidative stress and inflammation that are the leading causes of premature aging. It fights external aggressors like pollution and UV rays to protect the skin and instill younger look. A form of vitamin B3, Nicotinamide Mononucleotide is a potent NAD+ precursor supplement. 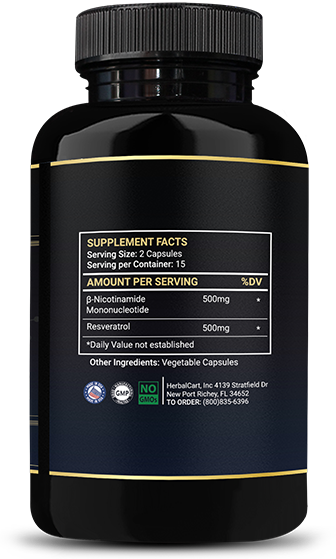 NMN activates sirtuins, the naturally-occurring proteins that serve as anti-aging genes. This way, loose skin, lines and wrinkles are prevented along with cognitive decline. By decreasing water loss through the outer skin layer, Nicotinamide Mononucleotide increases hydration in the skin. Moreover, it has properties to reduce sebum, enhance complexion and decrease redness of aging skin & blotchiness. 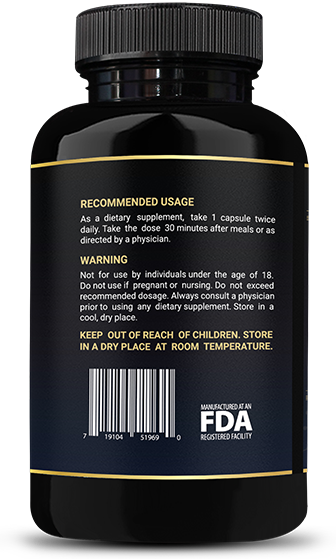 As a dietary supplement, consume 2 capsules daily, 30-40 minutes prior to meals or as directed by a physician. 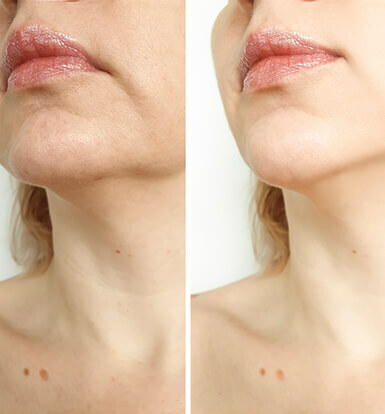 I have visible lines and wrinkles since years, can I trust NMN to help me get over them? Yes, you can trust NMN without a second thought. Unlike other products that are filled with harmful ingredients, this product brings together two very best skin-friendly compounds that recover stubborn evils of aging. Shall I take some other supplements to speed up the result? Nope. You need not take any other stuff apart from NMN. Follow the recommended dosage and keep patience, as everyone’s skin is different and results are seen accordingly. Is the product tested clinically? Definitely. Before bringing it you, we have got it checked under clinical standards to keep the users away from any consequences. I use this product regularly and I find it very helpful. I have been a loyal customer of HerbalCart for years now and the website and customer service has always surpassed my expectations. I have looked at some of the other items they offer and I am so happy with the results from NMN that I am going to place an order for some additional products the next time I order with HerbalCart. Thank you so much! Wonderful product! Where have you been all my life? I have been using this for about 3 weeks & I can already see a difference. I’ve tried so many beauty products & applying lotions, creams & serums, morning, noon & night does not fit into my busy schedule. This is a simple solution & best of all, IT REALLY WORKS!!! I am loving this supplment! Not only do I feel better and have more energy, but my skin looks great too. With eczema flare ups at any given time I never know how my skin will look when I get up in the morning. Since starting this a few months ago my skin has been more consistently clear and smooth and flare ups are much less intense!! Very happy with the results for me! At 60 years old, FINALLY something that works! I’ve always considered myself young, but after taking NMN from HerbalCart, I didn’t realize I could feel AND look younger. After about 4 days, my energy level began to soar. I became much more active. I started getting compliments on how great my skin looks from people whom I’ve known for years. I’m very critical regarding my skin, but I saw a visible difference…and I’ve tried every anti-aging or skin repair cream out there, which wasn’t cheap. My skin is more supple, my fine lines diminished dramatically. My smile lines which were very deep now look like they did 10-15 years ago. It even helped with crepe on my legs…I think my resurgence of energy and my body feeling younger gave me more muscle definition. Even my hair looks better. 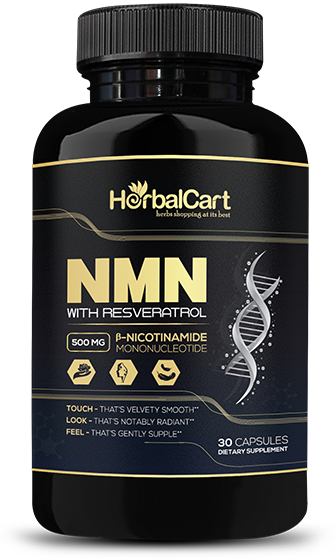 I highly recommend NMN from HerbalCart. Don’t pay $123.00 on Amazon or $2300.00 on eBay. Try this. I promise you won’t be disappointed. It’s only $48.98..and worth every dime. As long as HerbalCart is selling, I’m buying.. This stuff really works! I was very sceptical at first but the results are amazing!!! Great product and so happy with the results!!! You can feel and see the difference. I absolutely love NMN. My skin feels and looks notably younger.